One of Jenny's earliest salesmen is Don Gross who, with the help of some chocolate sodas, stumbled into the industry over 55 years ago. He explains, "We were clean boys back when I was a kid in high school. We'd just treat our dates to a chocolate soda." But, as a young man growing up in the Great Depression of the 1930's, Gross had to create ways to earn money to buy those chocolate sodas. One of Gross' neighbors, the midwest sales manager for Champion Spark Plug, "had lots of money" so he would often pay Gross to wash his car. "Then, one day he looked at me and said, 'Geez, you're always working, scrubbing those white wall tires." 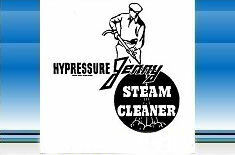 Gross' neighbor then mentioned he'd heard of a "really weird sounding machine called a Steam Jenny" that he would like to buy to help Gross' cleaning efforts. And so with that purchase, Gross entered into what became a life-long career. Using his mom's Fels-Naphtha laundry soap ("which was a miracle for bleaching white walls"), Gross tried out his new steam cleaner by washing his neighbor's spoke wheels. "I went back to him and said, 'There are so many applications for this Steam Jenny that if we took it out and showed it, you couldn't get enough of them.'" Gross' neighbor took his advice and began selling Jennys from his car; Gross often went along for the ride. "We'd drive up and down the road, stopping at implement dealers, garages - anywhere there was dirt. My friend would just sit there as I'd do all the talking and the demonstrations. And so, he eventually hired me and told the company I was his partner. That's how I got started, and I've never gotten away from it." Today, Don Gross is still traveling across the countryside selling Jennys.